Sandstone is not the just a popular construction or architectural designing material, but a highly versatile natural stone when it comes to interior applications. 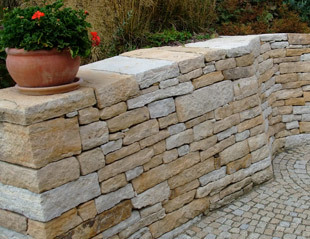 Mostly used in exterior designing, sandstone is used to make pavements, walkways, decorative articles, statutes and as feature walls and exterior wall covering. A sandstone wall is quite strong and functional. Easy to carve and cut, it can be given any desired shape and design with utmost ease. Apart from its availability in numerous rustic shades that become more eye-pleasing with natural aging and weathering, sandstone’s ability to absorb water and naturally anti-skid surface make it apt for outdoor use. Since India is a world leader in sandstone extraction, processing and global supply, it is currently one of the best markets to get quality sandstone products at affordable prices. While searching for a sandstone exporter from India, it is highly recommended to put a thorough check on the background and current status of the same in the international sandstone export market. Regatta Universal Exports, a leading manufacturer and exporter of sandstone from India, has a rich experience of more than 17 years in supplying quality sandstone products in various countries across the globe. In multiple colors, these products are not just available in desired size, design and finish, but offered at very competitive prices. With Regatta Universal Exports, you can be further assured of highly responsive customer service, timely deliveries along with safe packing and transportation. Like many other natural stones, sandstone too wears down with aging. Although aging and weathering has a relatively low impact on sandstone, it still needs to be maintained from time to time. 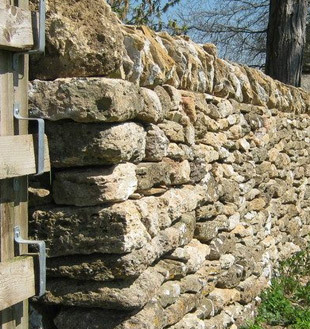 On vertical structures like stone walls in gardens, weathered sandstone tends to become weak after some time. The best way to make sure that sandstone wall doesn’t fall or warp is to build a concrete section and placing the sandstone around it. In case you don’t have such wall setting, you may need to reinforce your solid sandstone walls, so as to increase their life and keep them strong for a longer duration. 1. 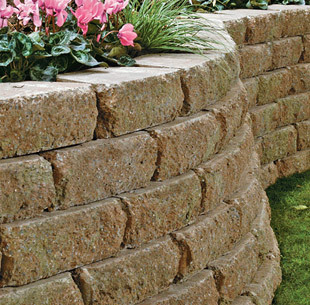 Support the Backfill: This is one of the best ways to support your sandstone wall by covering one of its sides with soil. This will give an impression of a hill, which can be further used to grow a range of flowering and decorative plants. For this, you would require to dig a hole at the base of sandstone wall that has to be covered with soil. At the bottom of this hole, you can use gravel stone or large rocks. Use the soil removed while digging the hole to place them on the top of the rock or gravel and press it against the sandstone wall. Use more soil from some external source to the backfill up to the top of the wall. A concrete support can also be used to support the sandstone wall. Begin by digging the hole as described in the above and then filling its base with rock or gravel. A frame has to be constructed to support the concrete until it dries. You can make use of some lumber to build the supporting frame. Nail it wherever required to develop a three-sided frame structure. Make sure that one side of the frame should be of the length of the wall you want to support, while the rest two sides should be of nearly similar size that will hold the concrete against the wall. Insert one of the open ends inside the hole and force the shorter ends against the sandstone wall. With the help of a spirit level, you can confirm the flatness of the frame. Now prepare a concrete mixture and pour it into the hole up to the top of the frame. Using a pallet knife, level off the excess mixture and then allow it to dry. Once the concrete is dry, it should strongly attach to the sandstone wall, thereby creating a solid support for the same. 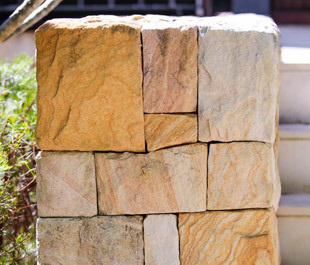 You can now remove the frame, which can be kept further to create concrete support for other sandstone walls in your garden. After removing the frame, you can use a sander to polish the edges of the concrete support. Pottery and colored stone pieces can be further used to add a decorative element to your garden. 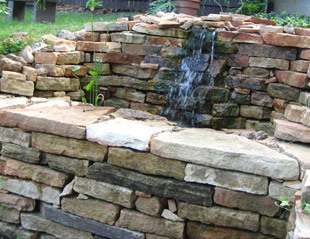 By following either of the above two methods, you can ensure longevity and stability of your sandstone wall. Nevertheless, for better stability, rigidity and durability, it is always recommended to create a concrete structure and then covering it completely with sandstone pieces.